Four years ago, YouTube Kids was launched in the United States. The app for iOS and Android grew fast and quickly became one of the most popular apps for kids. Many have been waiting to get the service to Norway, and now we can report that YouTube Kids is available here on land. It comes in a press release from Google. - We are very happy to launch YouTube Kids in Norway. The YouTube Kids app is built specifically with parents and children as a target audience, making it easy to access good video content on the topics they want to explore. This is a separate and safer childcare service, with a whole host of parental controls that allow you to tailor the experience to the right of each family, says European Learning and Family Manager, Greg Dray. Among other things, parents can customize what content the child will have access to through the function "Approved content". Parents can also decide if the child should be able to access the search function in the app. The Kids variant of YouTube includes larger and clearer icons to make navigating for the little ones easier. "When parents open the app for the first time, they'll get information on how YouTube Kids filters and recommends content," Google explains. YouTube Kids also has ready-made playlists that are made up of channels Google trusts - including the playlist "Fun to learn for school children" - put together by the Norwegian foundation Barnevakten. This all-new app is available for free download, and children can use it on their phone, tablet or TV screen, for example using Chromecast or a smart TV. With YouTube Kids, one can also set how long the children are allowed to watch content. The "screen time" feature can be used to restrict access - the child will be notified when the time is up. YouTube Kids is free and promotional. However, Google makes it clear that the advertisement complies with the company's advertising rules, which means that ads for food and drink, video games or movie trailers intended for children over the age of 13 are not allowed. Clickable ads are also not allowed. If you want an advertising-free experience, you must subscribe to YouTube Premium, for NOK 119 a month. 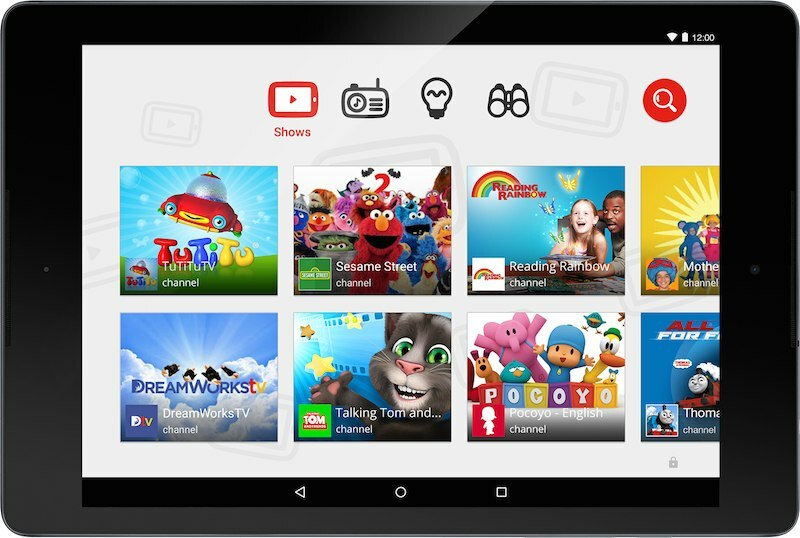 YouTube Kids can be downloaded from Google Play and the App Store.